Best Hair Salon In Chicago, Make an appointment!Color Product - Best Hair Salon In Chicago, Make an appointment! Our colorist select the best of the best to allow them freedom to follow their creativity and forumalte the exact color, tone, and shade for each guest. Created in Paris over 100 years ago by Eugene Schueller, a leader in the field of colour, and always in tune with the spirit of the times, this brand has repeatedly revolutionized the market with technical breakthroughs and innovations. Our colorist trust only the best to assist them in bringing their visions to reality. 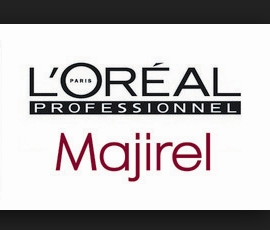 This L’Oréal permanent colour line provides our colorists with the deepest, most saturated and long lasting shades. Providing total coverage this is the perfect selection for gray coverge or lifting a base color. This acidic colour line provides ultimate shine for that Red Carpet look. This demi-permanent colour line provides rich beautiful colour that is touchably vibrant. A staple in the colour world, Redken Shades has been providing colorists with numerous multi-facated options for years. This gel based demi-permenant colour line provdies maximun shine.